Do you know that World War II was the largest and most violent armed conflict in the history of mankind? M. P. W. Stone, Secretary of the Army ? At the start of World War 2, the Philippines, were United States territory as per the 1898 Treaty of Paris. World War 2 began on September 1, 1939 and ended on September 2, 1945. But to the Americans, World War 2 started on December 7th, 1941, when Japan attacked Pearl Harbour. "Yesterday, December 7, 1941 - a date which will live in infamy - The United States of America was suddenly and deliberately attacked by naval and air forces of the Empire of Japan.... As Commander-in-Chief of the Army and Navy, I have directed that all measures be taken for our defense... With confidence in our armed forces - with the unbounded determination of our people - we will gain the inevitable triumph - so help us God." President F.D. Roosevelt - 8th December 1941. 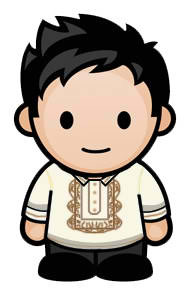 I am from the Philippines. And in our History class, World War 2, we were taught how our forefather bravely fought the Japanese soldiers. Today, I would like to share with you the bravery of our American and Filipino soldiers during the World War: I will focus on the invasion of the Japanese to Bataan Island, Philippines. On 7 December 1941, Japan attacks Pearl Harbor without any declaration of war. Only hours after, the Japanese also struck American airbase in the Philippines. General Douglas MacArthur, commanding United States Army Forces in the Far East (USAFFE), began making preparations to defend the archipelago from the Japanese invasion. Unlike in Pearl Harbor, the Japanese followed their surprise air strike of the Philippines with a ground invasion. So MacArthur's troops retreated, he was flown for Australia where he broadcast to the Filipino people his famous "I Shall Return" promise. On Bataan, the American soldiers felt they were abandoned by their own government. Nevertheless, they fought valiantly. 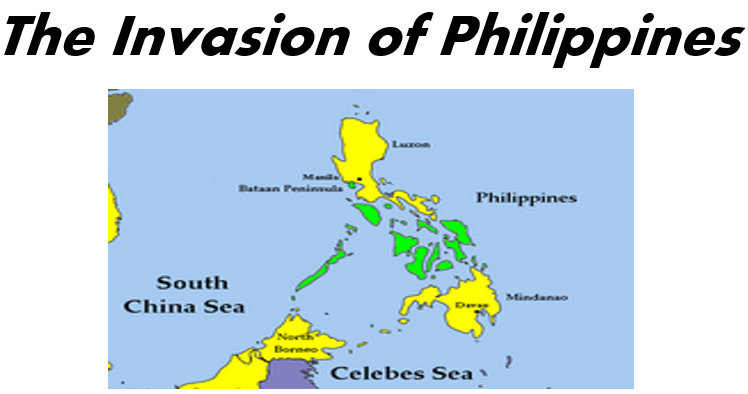 The Japanese attack, quickly cut off the Philippines from food and other supplies by a Japanese blockade. The incessant bombings and artillery bombardment turned the Bataan into an inferno. Over the course of the next three days, the American and Filipino soldiers slowly used up their supplies, progressively disintegrated and collapsed, clogging all roads with refugees and fleeing troops. On April 9, 1942, U.S. General Edward P. King signed the surrender document, ending the Battle of Bataan. 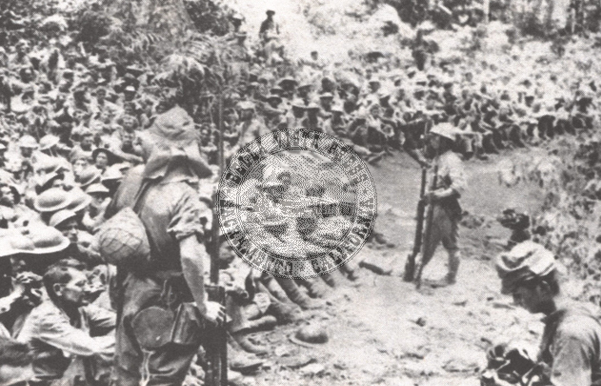 The remaining American and Filipino soldiers were taken by the Japanese as prisoners of war (POW). Immediately, the Bataan Death March began. 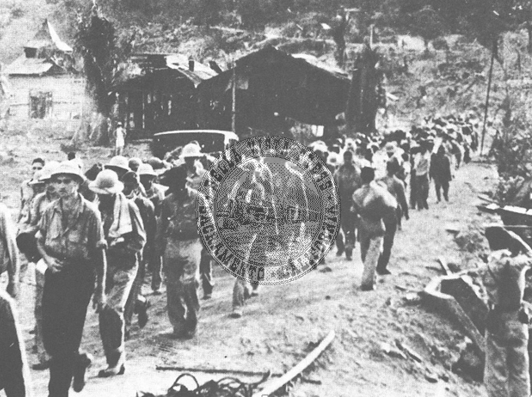 The prisoners were to be marched 63 miles in hot sun from the southern Bataan Peninsula to Camp O'Donnell in the north. To the Japanese soldiers, the captured American and Filipino POW's from Bataan were unworthy of respect. To show their displeasure and disgust, the Japanese guards tortured their prisoners throughout the march. 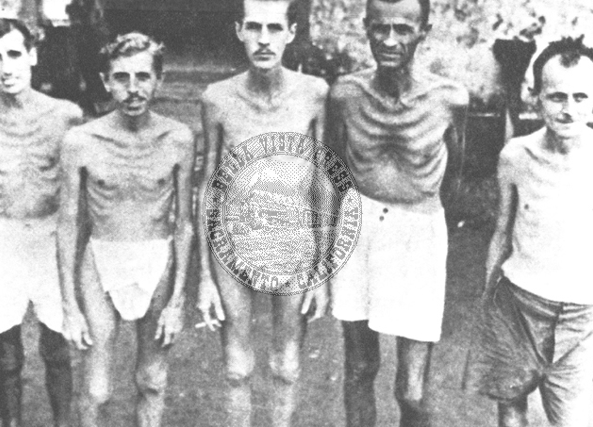 The captured soldiers were given no water and little food. The Japanese guards shot any and all prisoners who broke rank and tried to drink from them. Upon Arrival at Camp only 54,000 of the prisoners had made it. It is estimated that about 7,000 to 10,000 died, while the rest of the missing had escaped into the jungle and joined guerrilla groups. The conditions within Camp were also brutal and harsh, leading to thousands more POW deaths even within their first few weeks there. Public Speaking: Informative speech, special event.